Ever wondered what it would be like if a band played in a shopping arcade for free at 10.30pm on a Saturday night after Live At Leeds? Well, now you can find out. This Saturday, most of us will be up North celebrating the 10th year of Live At Leeds; an event that highlights the city's ever growing music scene and all of the incredible venues and bands it has to offer. 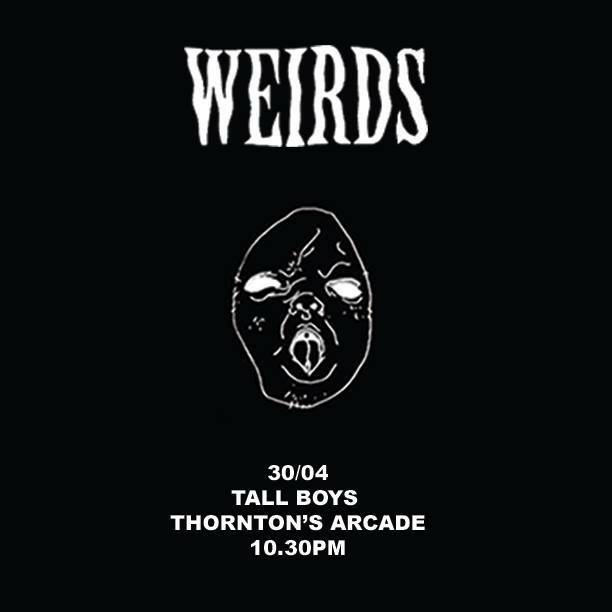 WEIRDS, a noisy quartet from Leeds that we're quite frankly obsessed with, have decided they're not going to let a little thing like not playing the festival hold them back, and so are playing their own show outside Tall Boys Beer Market in Thornton's Arcade. Most of the Live At Leeds acts finish around 10pm, so there's no excuse to miss it. Bring your own booze, and maybe some ear plugs, and be primed for one heck of a show.